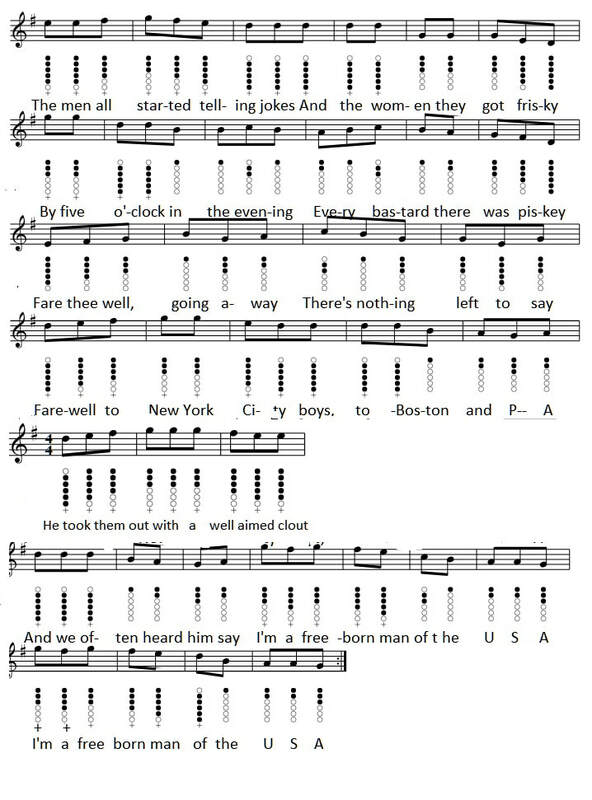 ​The Body Of An American The Pogues Lyrics And Guitar Chords. Written By Shane MacGowan. 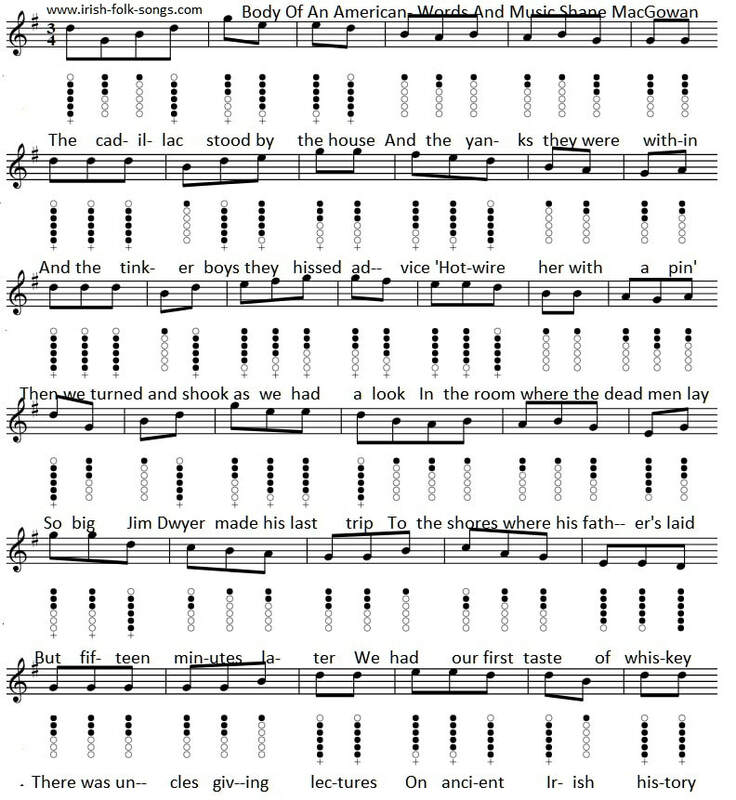 The tin whistle sheet music notes are included. This is a fairly long song with lots of notes to learn, it's best to break the song down into sections and learn it piece by piece. 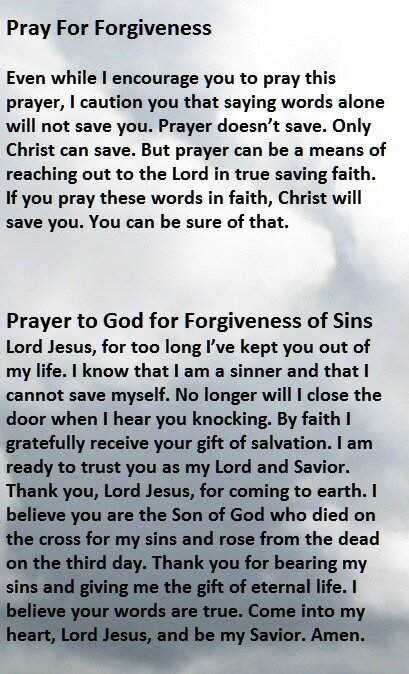 ​Here's the guitar chords for the key of G.